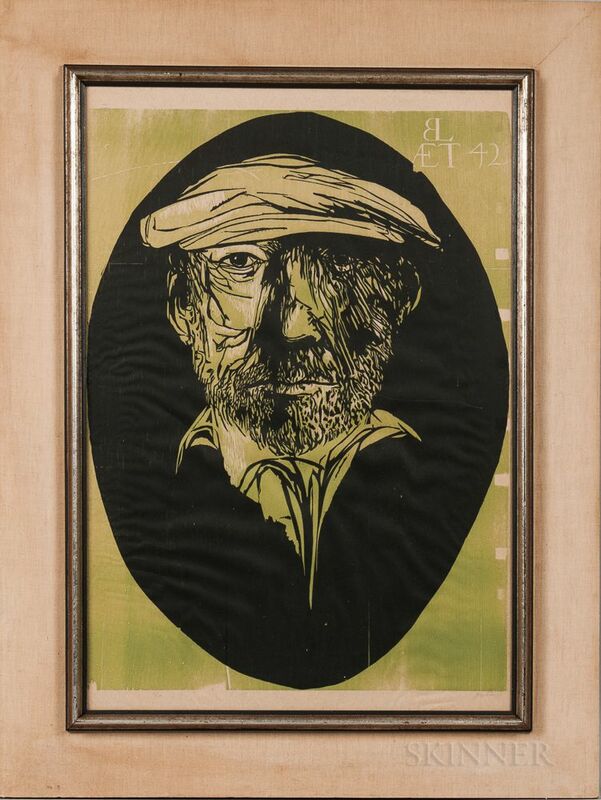 Leonard Baskin at 42, 1962, edition of 100 (Fern & O'Sullivan, 420). Signed "Baskin" in pencil l.r., numbered "65/100" in pencil l.l., identified within the block. 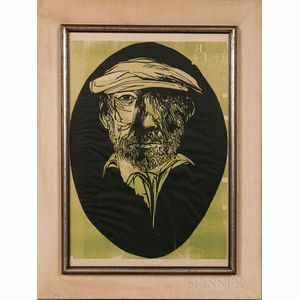 Woodcut in green and black on paper, image size 32 x 23 1/2 in., framed. Condition: Rippling, scattered creases, not examined out of frame.